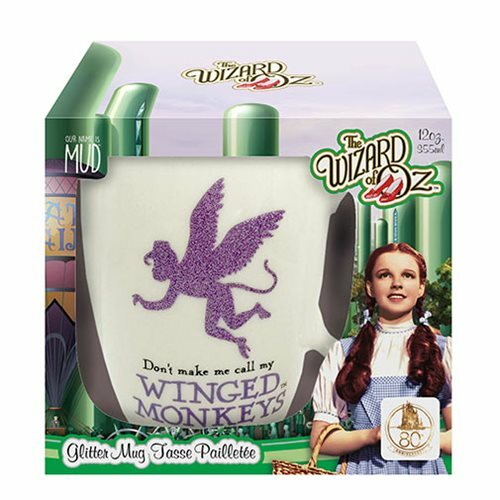 One side of this fun Wizard of Oz Winged Monkeys Mug says, "Don't call me Pretty." 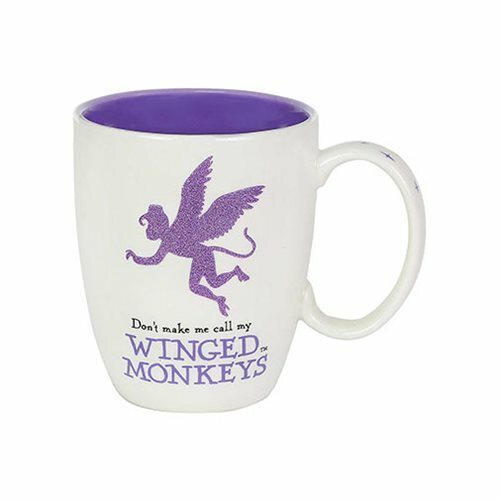 The other side states, "Don't make me call my Winged Monkeys." 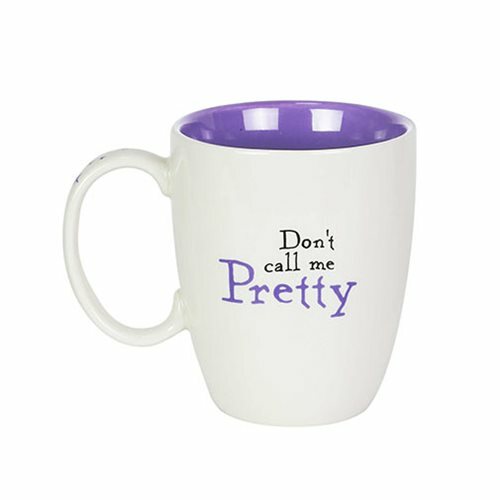 If you're feeling wickedly witchy, it's the right mug for you! Measures about 4 1/8-inches tall x 3 3/4-inches in diameter. Hand wash only. Not dishwasher safe. Do not microwave.